When Tom performed the entire Power In The Darkness LP at London’s 100 Club in 2017, all three shows sold out almost instantly. In October, to mark the album’s 40th anniversary, Tom will once again perform it live on tour in the UK – culminating in a special headline show at Shepherd’s Bush Empire on Saturday October 27. As ever his incendiary band features Faithless drummer Andy Treacey, guitarist Adam Phillips (Richard Ashcroft Band), keyboard virtuoso Jim Simmons and Tom himself on bass and vocals. 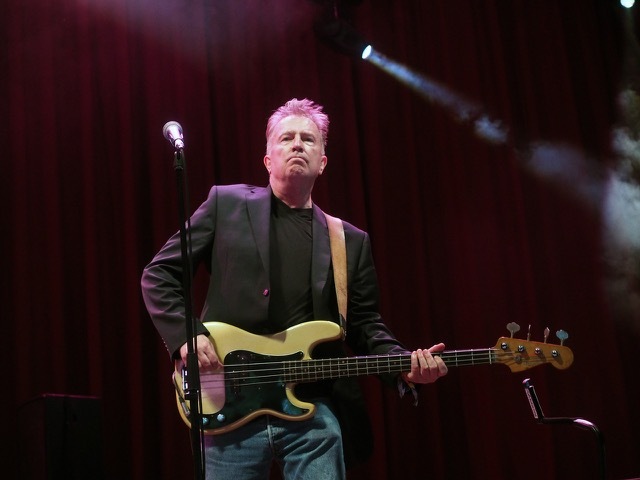 Tom Robinson first became known in 1977 as a musician, LGBT activist and anti-racist campaigner with the Tom Robinson Band (TRB) whose debut release 2-4-6-8 Motorway became one of the landmark singles of the UK punk era. Other well-known songs at the time included Glad To Be Gay, Up Against The Wall and Too Good To Be True. Tom later co-wrote songs with both Peter Gabriel and Elton John and had further solo hits in 1983 with War Baby and Atmospherics: Listen To The Radio. His 15th studio album Only The Now (2015) included guest appearances by Billy Bragg, Nadine Shah, John Grant, Ian McKellen, TV Smith, Lisa Knapp and Martin Carthy. Support on all shows is Mancunian soul singer Lee Forsyth Griffiths, whose first two albums were produced by Trevor Horn and Ian Grimble.